Face and body spray. Reinforces the skin’s natural defenses and intensifies the tan for skins that tan naturally. Skin is better protected against external factors and prepared for the sun, for a more intense and long-lasting tan. 20 min. before exposure, and then during exposure along with sun protection for the type of exposure. In the evening (before applying after-sun treatment) to strengthen the skin's antioxidizing defence and prepare for melanine production. 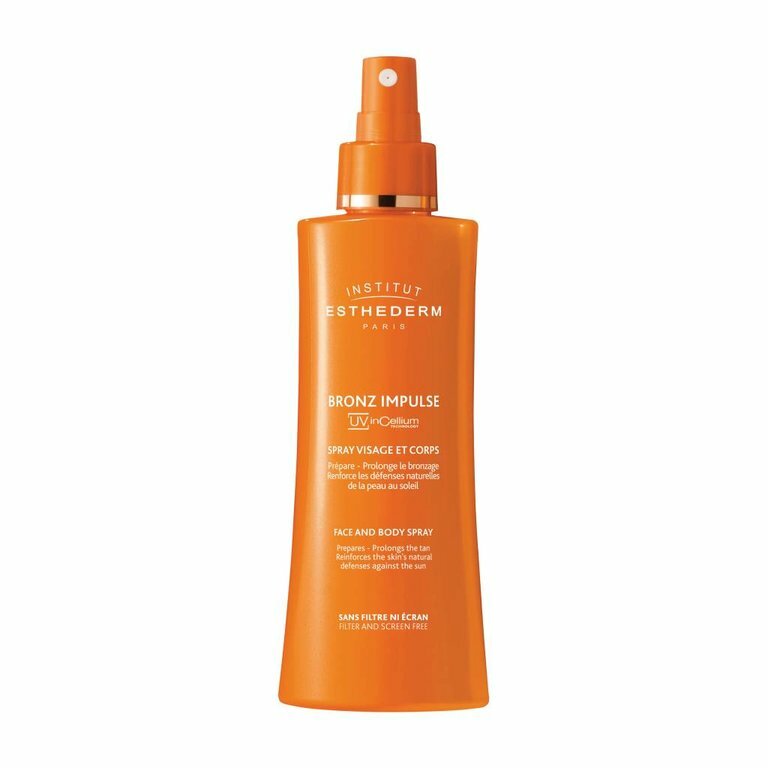 Morning or evening before applying regular care to extend and maintain a tan.